The majority of Europeans want Britain to stay in the EU, according to a new poll. Three in five people questioned in a poll said they would prefer the UK to remain a member of the European Union. Just one in 10 would prefer Britain to leave, while one in three said it didn’t matter to them. Set up by the Conservative peer Lord Ashcroft, the polls offer political surveys, and commentary on politics and public opinion. The indy100 have created the following graphic based on the data. 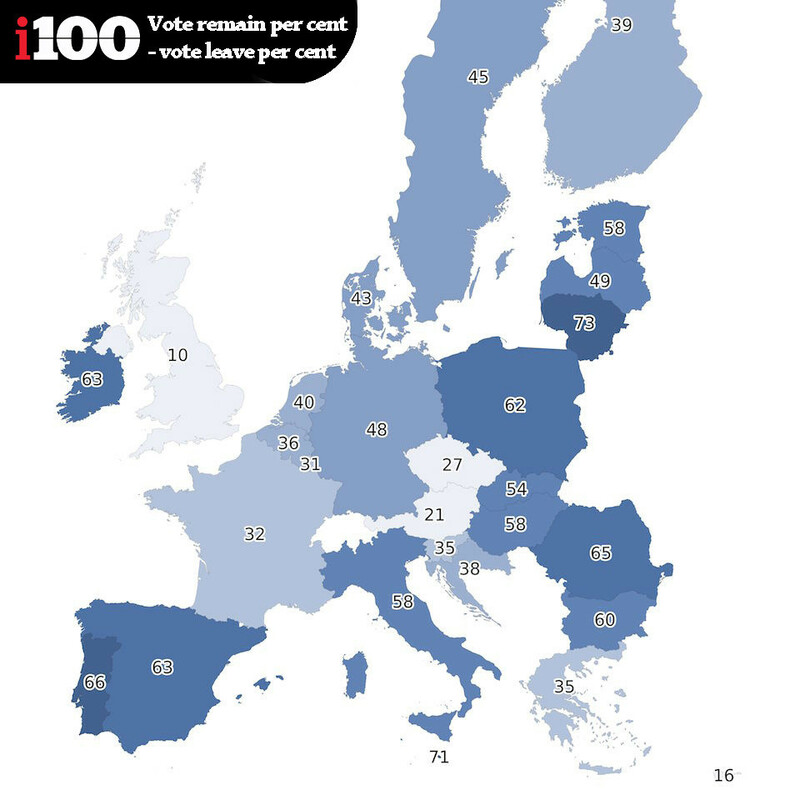 In the map, the darker the shade of blue, the more support there is in that country for the UK to remain in the EU. The scores are calculated by subtracting the percentage of people who want Britain to leave, from those who want Britain to remain. What is the European picture? There is support across the continent for the UK to remain in the EU, with 60% of the 28,270 Europeans questioned preferring Britain to stay. Support is strongest in Lithuania and Malta. 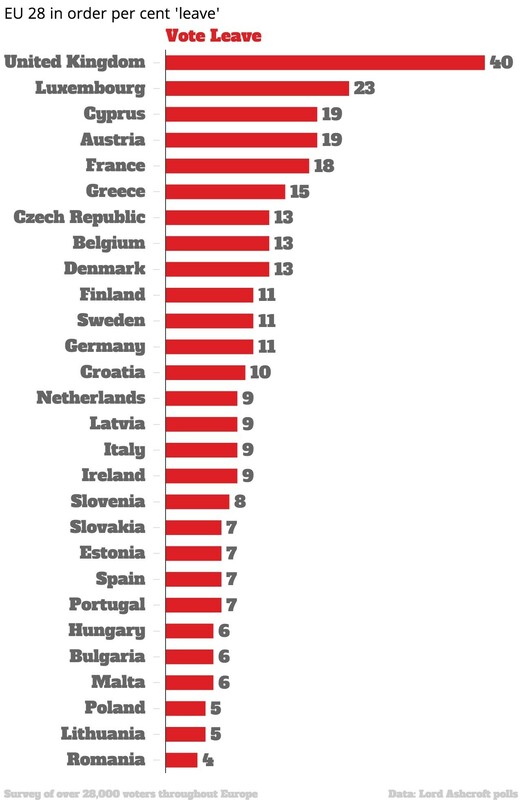 73% of those asked in Lithuania were keen for the UK to remain, with Malta returning a similar net score of 71%. Conversely, voters in Cyprus and Austria were least enthusiastic for Britain to remain – they returned net scores of 16% and 21% respectively. However, high numbers of those asked said it didn’t matter to them, which explains in part the lower score. Within the UK, a net score of just 10% jumps out. However, as the indy100 highlights, at the time of the poll, 40% said they wanted to leave, while 50% said they were keen to see Britain remain. Just one in 10 said it didn’t matter to them – much lower than the European average. What would Brexit look like?